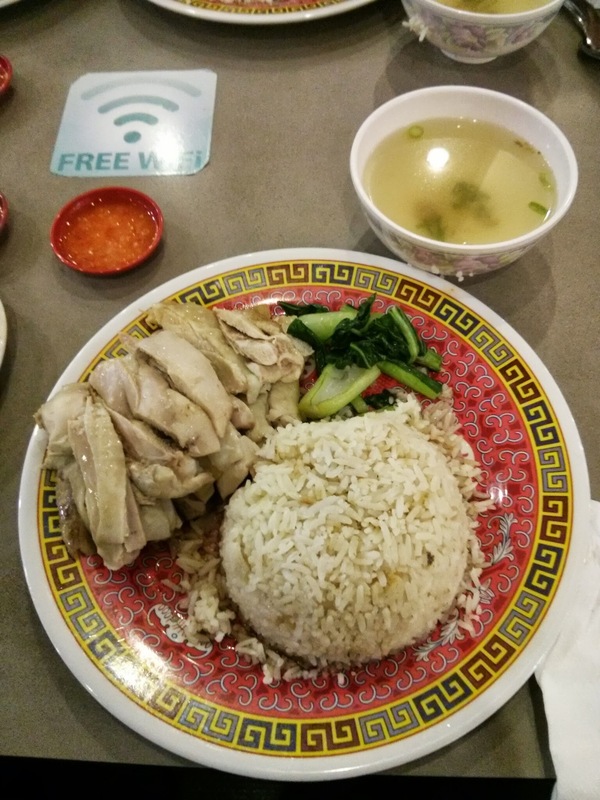 Verdict: The best Hainanese Chicken Rice south of Roe St.
We have harped on about Chicken Rice a fair bit recently so we thought we would remind you all of our favourite Chicken Rice in the CBD. Chicken Rice holds a special place for us and it is a rarity if we have not hit up Newton Circle for a fix during the week. Whilst it may not be up to the standard of the chicken rice you get in Singapore it is definitely the best in the CBD, see our updated Enex-100 Mi Shanghai review. There is a reason that the majority of the stalls at the top of Carillon City have closed down and no it is not because they serve average food, in fact we have had some pleasant dining experiences at the now closed Mr Goz and Ruby Thai. Here at the Pavarotti we think it is because of Newton Circle, it is pretty much impossible to walk past the allure of a chicken rice, a char kway teow or any of the south east asian delicacies they serve up. Even the hugely popular (and in our opinion, over rated) Mama Trans has struggled to match Newton Circle. You can expect to line up during peak lunch hours but it is definitely worth the wait. Our little tip is to get there 15 minutes before your standard lunch break - i.e 11:45, 12:15 or 12:45. Don't get put off by the length of the line it moves quickly and your food will come out really quickly. There are a couple of decisions you have to make. Firstly, whether you prefer thigh meat or breast meat. As mentioned earlier, we are 2-1 in favour of thigh meat. Your appetite will be the answer to your second decision. For those with a healthy appetite or a ravishing hunger, a large portion will only set you back an extra dollar and will hit the spot. After you have placed your order, grab a seat and your meal will be with you shortly... table service at less than a tenor, you better believe it. You can definitely taste that the rice has been cooked in stock, along with ginger, garlic and a hint of pandan. The chicken is deboned and free of any gristle and has benefited from being poached in a correctly flavoured broth. The chilli has the right combination of hot and sour that you expect with a chicken rice chilli and they are more than happy for you to grab an extra saucer if you like your chilli. Served with a side of veggies and a small bowl of soup to complete the set, you will definitely leave satisfied. A word of warning, the chicken rice is fantastic 95% of the time, but is prone to the odd lapse. 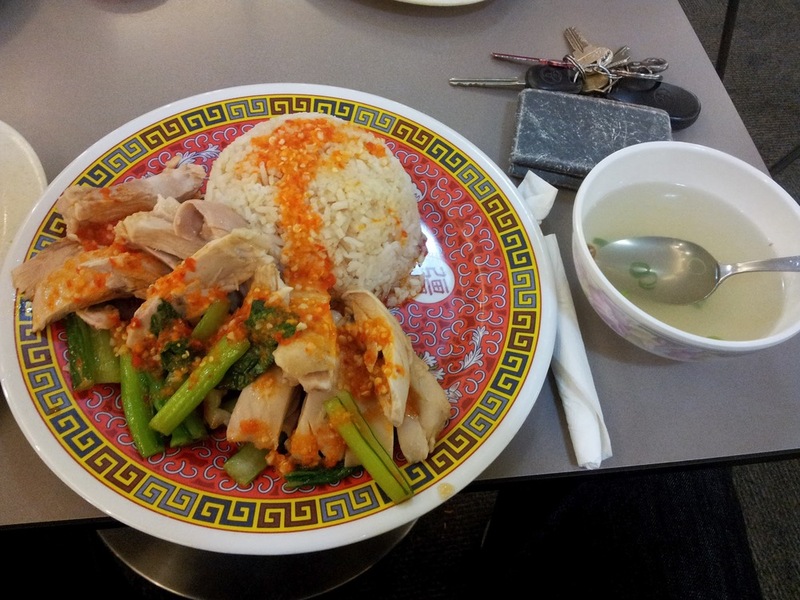 Whilst the general punter may not be able to pick this up the chicken rice veterans will find the rice and the chicken can be somewhat disappointing compared to the usual lofty expectations. Don't be disheartened, we can almost guarantee next time you go back you will be happy!